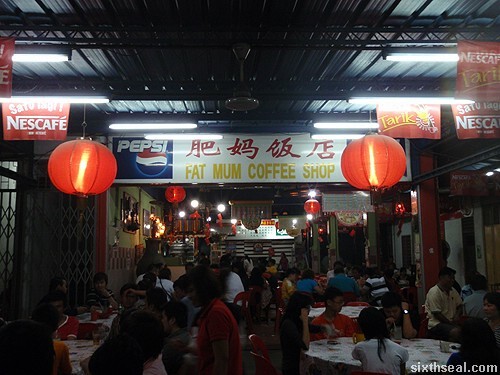 Fat Mum Coffee Shop is practically an institution in Sibu. It caters primarily to people from the clubbing scene wanting to get some grub in their stomach before they head home for the night. 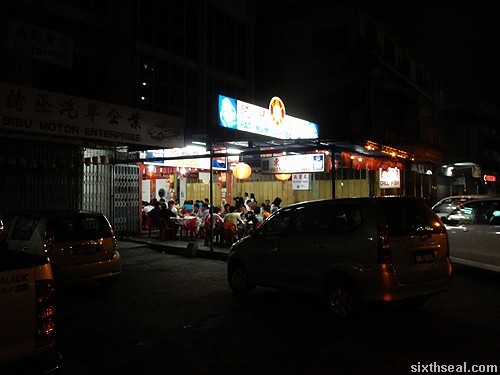 They close relatively early compared to the other establishments like the one below Today Hotel (5-6 am) but it’s a great place to eat what you would dub dai chow in KL in the wee hours of the night. 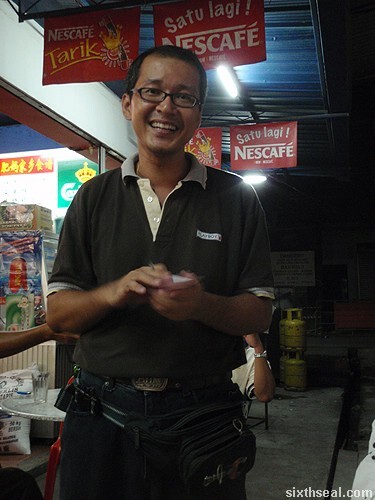 This place is strictly for those who observe the closing hours of nightspots. 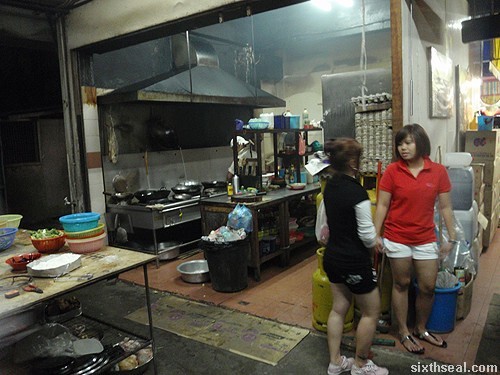 Fat Mum’s kitchen closes at 1:30 am while the others stay open till 5 am. I think their rationale is to attract the ethanol brothers instead of the chemical brothers – the latter being more apt to party late and be rowdy. It has a simple kitchen setup and while the food isn’t anything to write home about, it does the job. You head to Fat Mum coz you want to soak up the alcohol you’ve consumed with rice and dishes, not coz you’re up for some fine dining at 1 am in the morning. Fat Mum was still very packed at 2 am, perhaps they made an exception for CNY since I don’t remember them opening this late last time. 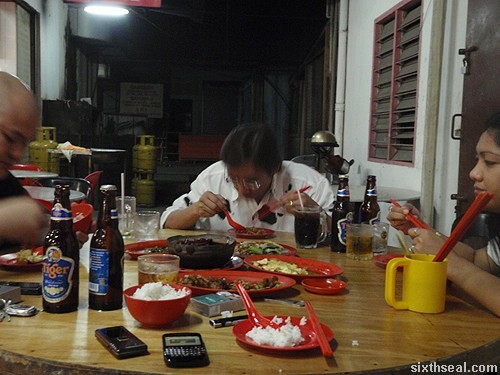 The best thing about Fat Mum is that like all other dai chow places, you can STILL drink while eating supper. 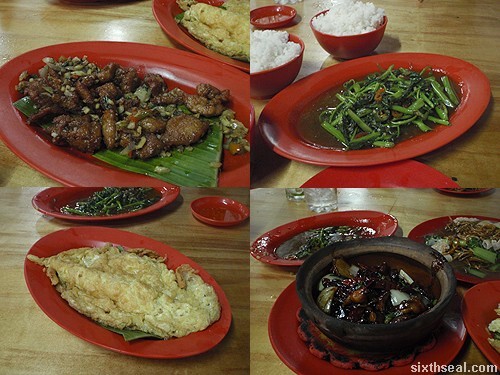 It also features Sibu prices, dinner for four inclusive of beer is only RM 62. Heh!